Spring is upon us. The Rocky Mountains and its sub-ranges are beginning to shed snow, colorful wildflowers are in bloom, and hiking trails that have been accessible only to cross-country skis and fat bikes for the past few months are opening up to eager hikers. Spring hiking focuses more on canyons than scrambles and meadows than summits, and these five towns are the place to base yourself for epic spring hikes throughout the Rocky Mountain region. 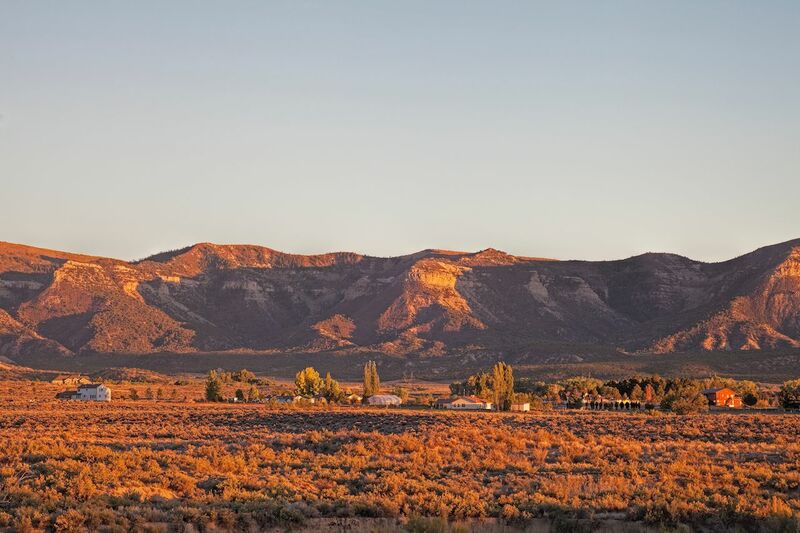 Tucked away in southwest Colorado, about an hour from the Four Corners Monument, the town of Cortez is often overshadowed by the nearby tourist draw of Durango. 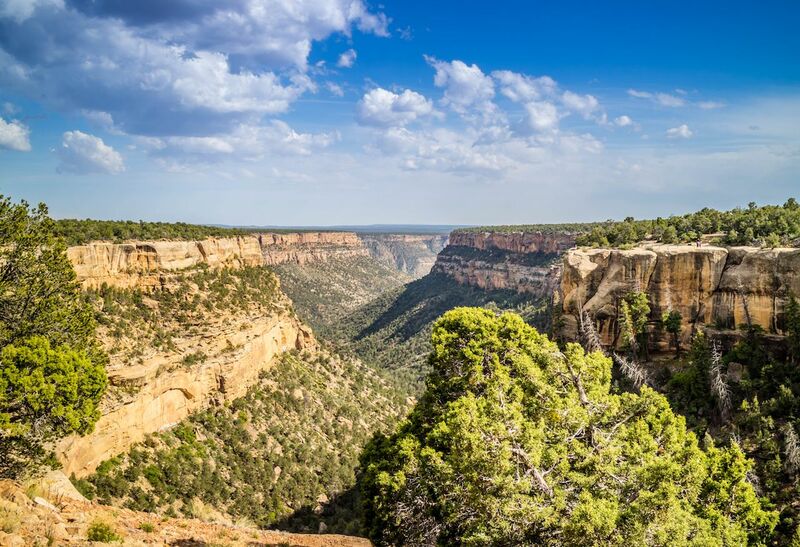 Cortez offers equally impressive outdoors access, and it’s actually closer to Mesa Verde National Park and many of the hikes in the La Plata Mountains that are low enough in elevation for spring access. 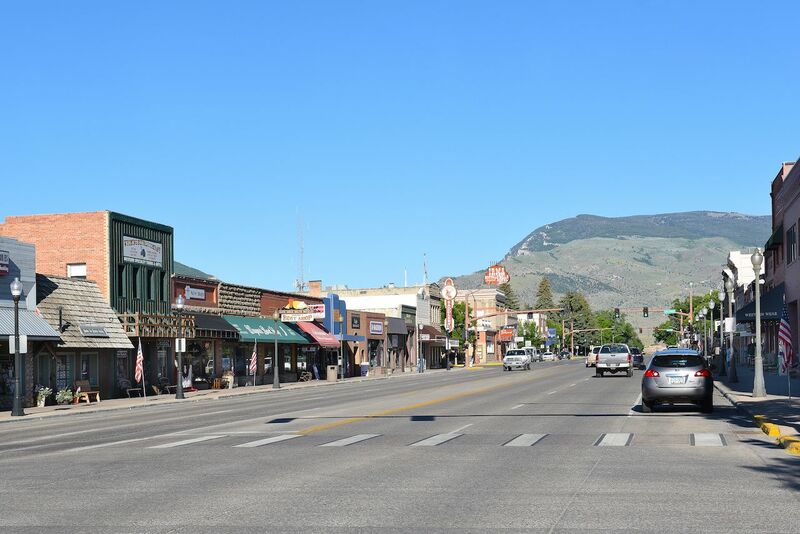 Cortez is a town of about 9,000 residents with a number of restaurants and bars in the heart of town to hit up after your hikes. We recommend you start with a pint of beer and green chili stew at Main Street Brewery & Restaurant. The Knife Edge Trail in Mesa Verde National Park is spectacular as the snow seeps into the landscape each spring. At 2.4 miles in length, Petroglyph Point Trail is another option in the park for a quick day hike. Later in the spring season, as snow runoff begins to wane, the Owen Basin Trail takes you four miles into the La Plata Mountains with a moderate incline. It also connects to a full system of trails if you can’t wait until summer to get that first backpacking trip in. Box Canyon is where seasoned hikers with a good pair of hiking crampons should head for a full-day adventure into the backcountry. Out and back, this trail system is close to 13 miles, though you don’t need to reach the end to catch striking views of the surrounding peaks. If you’ve driven through eastern Utah, you’ve likely seen the bumper stickers emphatically proclaiming “New York. Paris. Moab.” Moab issues a beacon call to mountain bikers and climbers the world over, a tiny town with an outdoors scene that rivals any place, big or small, in the western United States — and that has the ego to go along with it. 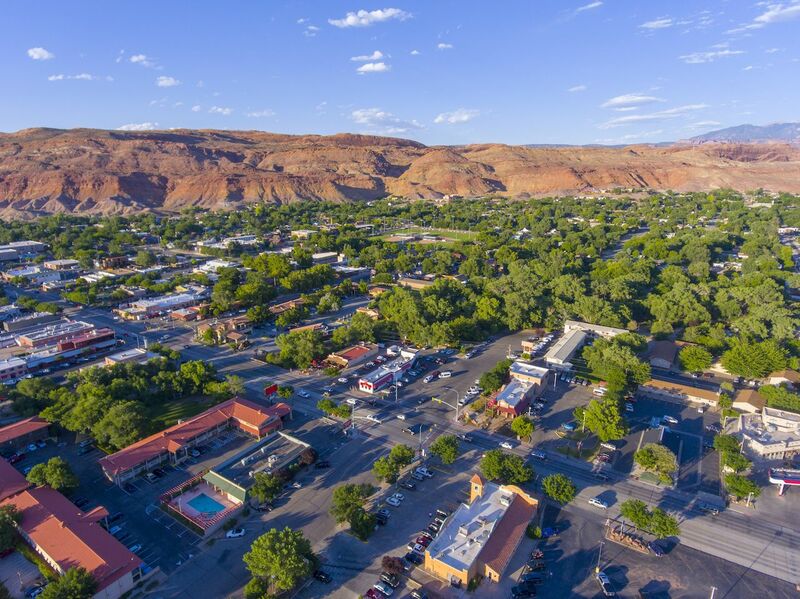 But the vast expanses of wilderness surrounding the town, including nearby Arches and Canyonlands National Parks, are also lined with hiking trails, and spring is the time to get the goods before the summertime hordes show up by the RV-load. The snow melts quickly here in the desert, clearing the path on most hiking trails by April. In town, unwind over a beer at The Moab Brewery or a towering margarita at Miguel’s Baja Grill. Just don’t ask for a double because that’s not possible in Utah. 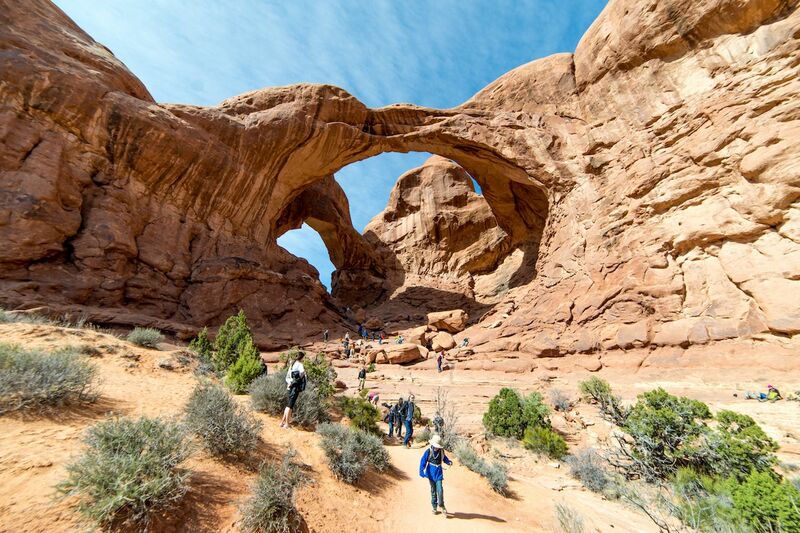 Inside Arches National Park, the 2.9-mile Delicate Arch Trail is a decent workout and the best way to view one of the park’s most famous arches. There is also easy access to other nearby trails if you’re looking for a full day hike. If you haven’t been to Canyonlands National Park, the Needles District here and its 20 miles of trails should be the first stop on your trip. Canyonlands is vast, full of terrain dominated by massive sandstone structures, and explored by few. It can be a bit eerie winding through the open stretches of rock that seem to suddenly drop into steep canyons. The key is to embrace the solitude and the fact that you won’t find another place like this anywhere. Outside of the parks, the Hidden Valley Trail is a semi-challenging four miles with incredible views of the La Sal Mountains. 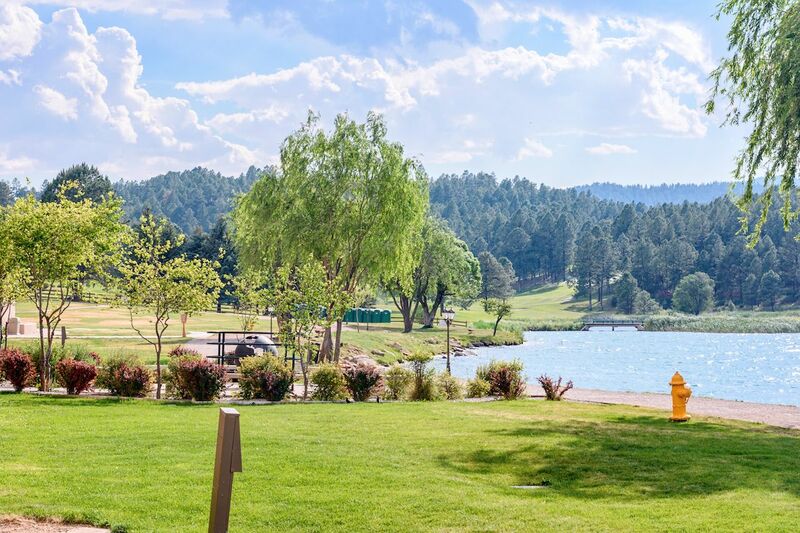 Ruidoso is New Mexico’s best-kept secret for outdoors lovers. The town sees a good amount of snow during winter, but due to its far south location — the US-Mexico border is less than 150 miles away — hiking trails below treeline tend to open up following the first hints of spring warmth. Lodging in Ruidoso is cabin style, matching the rustic feel of the town that you’ll find in the shops and pubs of Sudderth Drive. Fuel up before the hike with a breakfast burrito from Sacred Ground Coffee. After that, trail access is easy, as many of the best spring hikes start just outside the city limits. The Cedar Creek Trails are the place to start. Wide and well-maintained, the trails in this park system stretch for 30 miles and offer wide open views of the surrounding Sierra Blanca peaks. White Mountain Wilderness Area is home to an extensive system of trails. 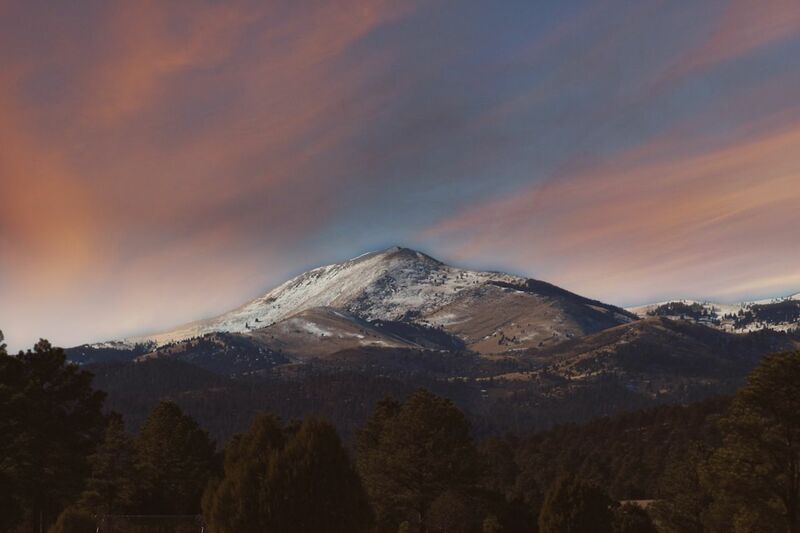 While many reach altitudes where you’re likely to encounter snowpack, the lower section of trails doesn’t skimp on epic mountain views, including the 11,981-foot Sierra Blanca Peak. Start with the Three Rivers Trail and Nogal Canyon Trail. The five trails surrounding Grindstone Lake are the most accessible from Ruidoso proper, and the lake itself is a great place to chill over a picnic lunch after a morning spent hiking as much of the 17 miles of maintained trail as you can fit in. Before you’re all, “Why would I go to WYOMING?” just hear us out. Wyoming doesn’t have a great city to call its own, and nightlife is minimal — often non-existent — outside of Jackson and Laramie. There’s also no major airport, so unless you have cash like Kanye and can afford to fly into Jackson, you’re going to have to drive there. But here’s the deal. If you’re into wide-open trail systems, a laid-back lifestyle that prioritizes what you’re doing more than what you do, and enough protected space to fit multiple New England states, Wyoming is epic. That’s why you’re here, and Cody won’t let you down. For starters, it’s the eastern portal to Yellowstone National Park, which offers several worthy spring hikes once the snow pulls a wicked witch of the west. Closer to town, check out Spirit Mountain Cave and the Shoshone Riverway Trail. If you come later in the spring, the Wind River Range awaits for your next backpacking trip a few hours south. Just watch out for that wind. Spirit Mountain Cave offers four miles of trail through limestone rock and leads you to some enchanting, if ominous, caverns. These caves are among the deepest in the country, but they aren’t totally mapped — so be careful. The trail is accessible throughout the spring, so long as a recent dumping of snow hasn’t covered the area. The Bluebird Trail, a few miles east of Cody, is among the best places to see wildlife in the area, outside of Yellowstone. 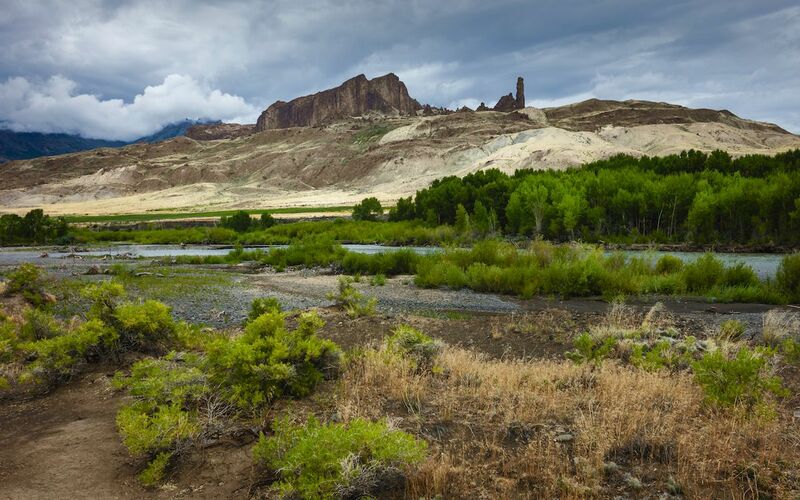 You ascend a steep incline at the beginning of the hike and are rewarded with wide-open views of the Owl Creek Mountains and Big Horn Mountains. The hike is generally accessible by mid-spring. The Little Sunlight Trail takes you from a well-marked campground bearing the same name into the North Absaroka Wilderness. The eight-mile trail is doable in a day hike; just don’t get too distracted staring at the surrounding peaks. 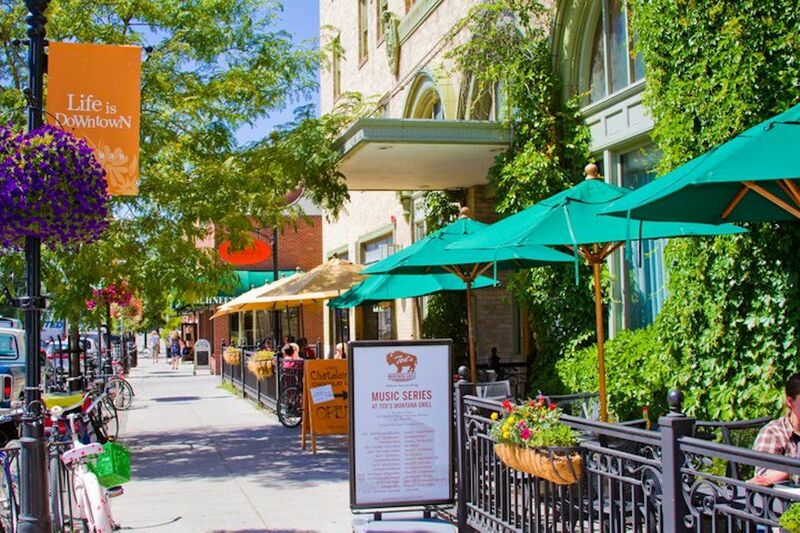 With nearly 50,000 residents, Bozeman is a thriving metropolis in comparison to the other towns on this list (it was one of our favorite small towns in America this year). This city in southern Montana also offers unrivaled early-season trail access, both in Yellowstone National Park and in the mountains just north of it. Plus, there’s no better excuse to dust off that old cowboy hat than a night out at Bozeman’s Rocking R Bar, one of the few places where old-school cowboys mix seamlessly with college kids and dirtbags. Bear Trap Canyon is home to a seven-mile trail that winds through the canyon along with the river, remaining mostly flat the whole way. As an out-and-back trek, you may be tempted to turn around early, but excellent, and largely empty, fishing spots await if you see it through to the end. For a bit of a climb, head to the Drinking Horse Mountain Trail. This 2.5-mile ascent up the mountain is doable much of the year though in early spring it may be muddy. 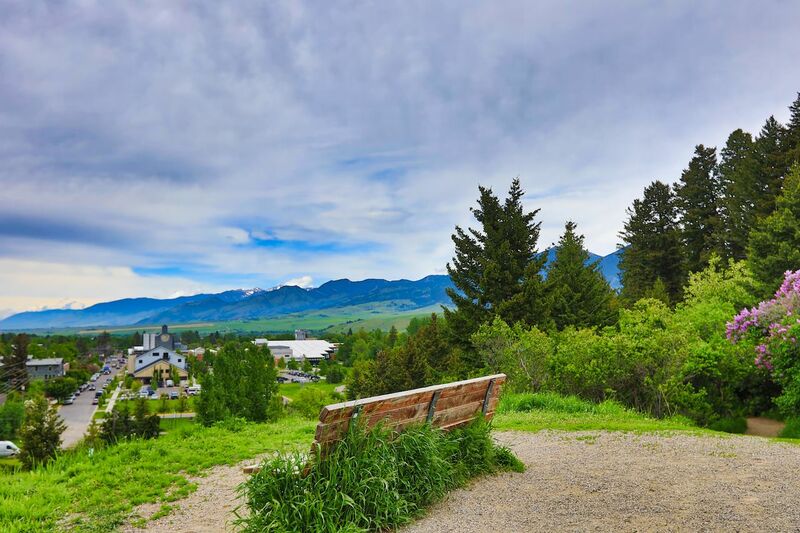 Slog it up and take in 360-degree views of the mountains surrounding Bozeman, as well as the city itself just to the west. Another hike right near town is the 4.3-mile Sourdough Creek Trail that follows Bozeman Creek as it slices its way through the valley to Mystic Lake just south of Bozeman.